Msgr. 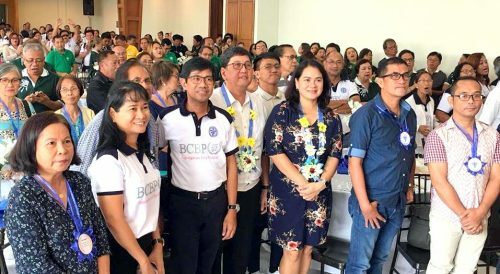 Gerry Perez (right) is flanked by BCBP national and local leaders. We have 25 silver reasons today to rejoice, 25 silver reasons to be thankful, 25 silver reasons to celebrate. 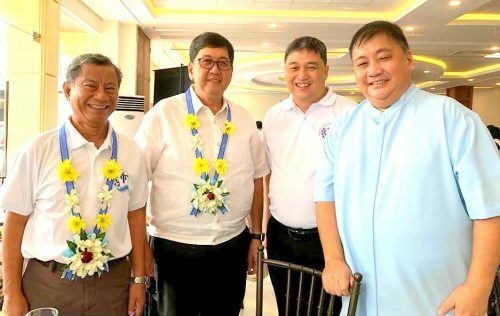 On this joyful occasion of the silver jubilee of the Brotherhood of Christian Businessmen and Professionals, Tuguegarao Chapter, I wish to convey my heartfelt gratitude for your 25 years of organized presence in the Archdiocese of Tuguegarao. Congratulations. Let me take you down memory lane and recall with you how the BCBP was established in the Archdiocese. I distinctly remember how the BCBP came into being because I had a front row view of how the history of BCBP Tuguegarao Chapter unfolded. I was barely five years in the priestly ministry and I was secretary to Archbishop Diosdado Talamayan when a motley group of gentlemen from the BCBP Parañaque, Greenhills and Alabang Chapters came to the Archbishop’s Residence to pay Archbishop Dado a courtesy visit and to ask permission to form and organize the BCBP in Tuguegarao. I still remember the names of some of them, Rem Gopez, Joey Estagle, Mr. Calata, Johnny Avila. Manny Banigan, Chuck Colayco and many others came later. 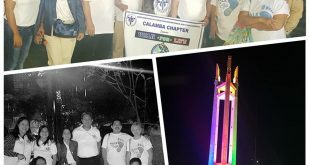 When they told the Archbishop about their plans, I had my misgivings since at that time I was already the Archdiocesan BEC (Basic Ecclesial Community) Coordinator and we wanted to promote the BEC as the new way of being Church. 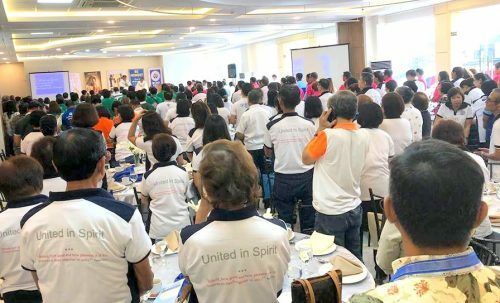 As a pastoral thrust, all pastoral leaders, lay organizations, movements and associations, all pastoral agencies of the Archdiocese must be in sync with one another to vigorously promote BEC as the concretization of the renewed vision of The Church in the Philippines as enunciated by the Second Plenary Council of the Philippines or PCP II. We, the young turks at that time, Fr. now Bishop Ric Baccay, Fr. Gary Agcaoili, Fr. Adalbert Barut, to mention just a few, thought that to allow another religious organization to be formed in the Archdiocese would make it more difficult if not impossible for us to coordinate all our pastoral efforts towards the formation of BECs in the parishes, especially if that organization is a transparochial organization. The prevalent thinking at that time was that the transparochial movements were taking away our best leaders from parish activities and programs. They were establishing a parallel parish because they have their own renewal programs and outreach activities. So I said to the Archbishop, let us be careful because it might divide the parishes. Fortunately, the Archbishop did not heed what we thought was a wise piece of advice albeit unsolicited. Now looking back after 25 years, I could honestly say that the Archbishop was right after all. Otherwise, we have nothing to celebrate today, nothing to be thankful for and there would have been no reason to rejoice. 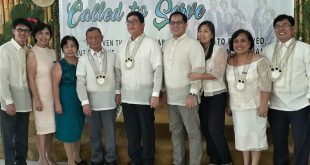 As we come together to celebrate our silver jubilee today, let us remember the reason for our existence: our purpose and mission as an organization is to form disciples of Christ in business and the professions who live out Christian values and practices to bring about transformation of the market-place. Our vision statement is very clear — to live a full life in Christ expressed through a three-tiered life long process: Conversion, Commitment and Commissioning. 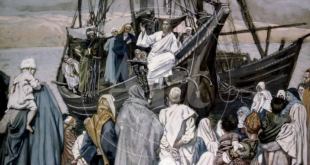 Conversion to a personal relationship with Jesus Christ; Commitment to the values espoused by Him; and Commissioning — to spread these values to others, especially in the conduct of business and the professions. When an outsider reads these statements, he cannot but be impressed of these lofty ideals and values. But he would be more impressed if these lofty ideals and values are embodied by men of flesh and blood walking tall in our streets and market places and having a positive impact in business practices. We are all called to be living witnesses of the gospel. Our vocation is to be holy. And one cannot be holy nowadays without engaging in and with the world. Gone are those days when holiness means to be isolated from the evil world, staying in monasteries and escaping from worldly affairs. We cannot remain in sanctuaries praying our private novenas and devotions only. We have to go out into the world and proclaim the Good News of salvation by our own words and action. These days, we are called to bring the Gospel values in the world of politics and economics and transform them for Christ. 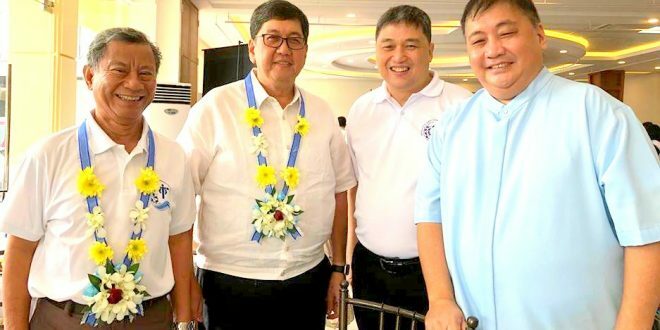 Twenty five years ago, when the BCBP leaders from Manila would come to Tuguegarao to conduct the BCLP and the breakfast meetings, they usually would drop by the house and have their meals with us before they perform their duties as sharers or resource speakers. I was impressed not so much by their eloquence but by their humble witnessing. I could remember how most of them would endure the long and tedious 10 to 12-hour trip from Manila to far away Tuguegarao. Rem Gopez, who was the Outreach Head of Parañaque Chapter at that time, must have been accustomed to fast travel being an ace pilot, but he came usually by bus and often he got delayed because of the rains and floods or some mechanical problems they met along the way. Yet when he comes, he exercises his ministry with humility, dedication and hard work with nary a complaint. Joyfully, he would take everything in stride and share his life’s testimony to those who care to listen. And by listening to their life-changing stories, we who have listened attentively, were transformed too. Please pardon my bias, but the life’s story of my late father, Atty. 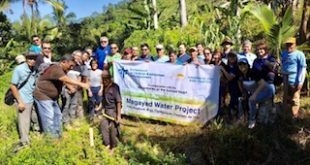 Pedro Perez, Jr. , the first Chapter Head of the BCBP Tuguegarao chapter, is a fine example of how the BCBP can transform and renew our lives. As far as I could remember, my father has always been an active lay leader. He was for many years the legal counsel of the Archdiocese. He was involved in the Cursillo movement in the ’70s and even in the late ’60s and a president of the Holy Name Society for a number of years. But in the intervening years before the BCBP came to Tuguegarao, my father was a broken man. He painfully lost in a local election when he ran for mayor. In his own words, he was bitter and wounded. He not only lost in the elections that year, he also lost his sense of purpose, he lost his vigor and enthusiasm, he lost his zest for life. Indeed, the BCBP was my father’s tipping point. And so I say to all of you today, thank you BCBP for being an instrument in my father’s renewal and maturation in the Christian faith. Thank you BCBP for the 25 years of reaching out to people in their darkness and bringing them to light. Thank you BCBP for evangelizing the market place by your words and way of life. May God grant you another 25 years or more to be of service to the Church we all love and to tirelessly proclaim the good news of salvation. Congratulations and God bless! A video of the homily is available on Facebook through this link. Bro. Pedro Perez, the first Chapter Head of Tuguegarao, had another passion second only to serving God. And that was making ice cream. His ice cream was really good that it made an indelible mark in his son Paul’s memory. “Our weekends were never complete without Papa’s ice cream,” Paul remembers. Paul, now a businessman, eventually put up an ice cream parlor and named it after him. It is called Papa Diddi’s and is located in Sikatuna Village in Quezon City. As a tribute to Bro. 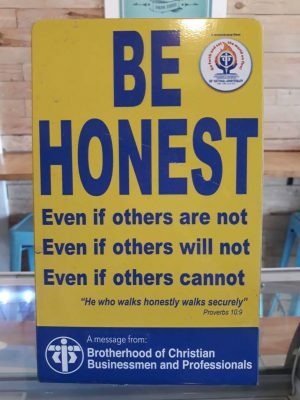 Pedro’s connection to the BCBP, Paul even proudly displays a Be Honest sign on the store’s counter (see picture). He said his father was already a good man, but the BCBP made him even better. “The BCBP changed our family dynamics. We thought we had a good family life already. But the BCBP elevated it to far greater family life!” Paul fondly remembers.